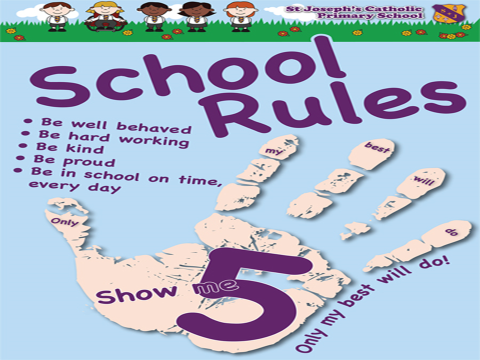 The rules that we have at St Joseph’s help everyone to get along and achieve their full potential. These rules apply to all adults (including staff, governors and parents) and children from every class. The expectation is that all children keep these rules at all times. Further details regarding expectations for behaviour are contained within our behaviour policy.